CAD/CAM stands for Computer Aided Design (CAD) and Computer Aided Milling (CAM). 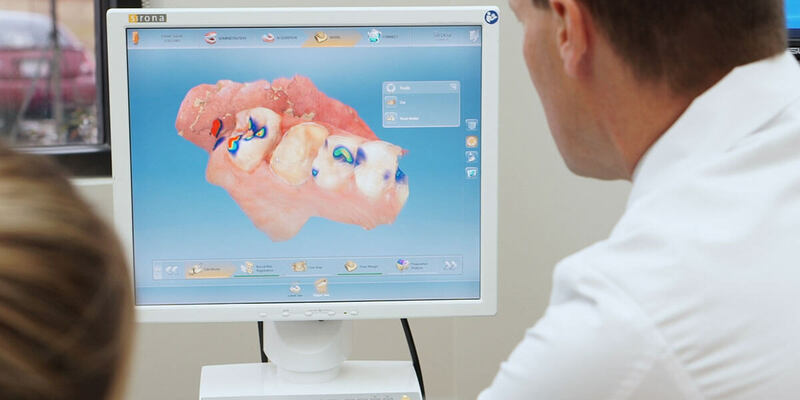 3D images can be uploaded into special CAD software, allowing the dentist to evaluate the exact details of the appearance and function of the restoration. This software can also help the patient to visualize the end result of the proposed restoration. Once the design is finalized, the files are sent to the CAM system for fabrication of the restoration to the exact specifications of the design. Use of CAD/CAM technology increases efficiency and accuracy, and can often reduce the overall number of patient visits needed. iPads are available for patients to play when they visit our office for an appointment.